200 clients have received residential treatment, usually for three months or longer since September 2012. Currently there is a waiting list for treatment. 160 family members, friends and clients attended eight monthly family meetings in 2017 at the House of St. Francis. Since 2009, more than 170 residents have resided in the Oxford Houses with one house supporting only women. Some residents stay longer than two years. Over 80% of residents in the three houses who stayed three months or longer have remained clean and sober. The most significant events in 2017 were led by Dr. Al Mooney for professionals in Accra on Sept. 28, for staff of Ankaful Psychiatric hospital in Cape Coast and training of staff at New Crystal Health Care Services and staff of the House of St. Francis. Hosted 10 training events in 2017, most being one day events with over 200 participants from numerous organizations, including the House of St. Francis, Oxford Houses, Hopeful Way Recovery Center, Accra Psychiatric Hospital, Pantang Psychiatric Hospital, Ankaful Psychiatric Hospital, 4 faith based prevention and recovery programs, Narcotics Control Board. 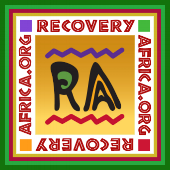 Hopeful Way Recovery Center – Converted into a residential rehab to be registered as WellCare Ghana Recovery Center, run by Byron Merriweather. WellCare began taking in clients in October, 2017; including one from Liberia and one from Sierra Leone. 2 professionals (Byron Merriweather and Edwin Ahadzie) participated in two weeks of COLOMBO training.